You may be stuck in the mud because of some kind of failure. Perhaps you bet the family farm on a business idea and lost. Or maybe you lost an important client or you were recently fired from a good job. Maybe you have failed in a relationship that has you feeling the blues. Well join the human race! We have all failed at something sometime in our lives. Many have failed frequently. The real question is: which way did you fail, backwards or forwards? Maxwell says the average for entrepreneurs is 3.8 failures before they finally make it in business. Lots of people get fired or laid off or terminated for a variety of reasons. Anyone involved with people will at one time or another struggle with relationships. We all break down or crash or fall short, sometimes often. I’m going to list those seven characteristics of failure again only this time I’ve personalized them for you. If you can, read them aloud: I cannot avoid failure, failure is not an event, failure lacks objectivity, failure is not my enemy, failure is reversible therefore I can turn my failure into success, failure is not a stigma that goes with me forever, and perhaps the most important: failure is not final. 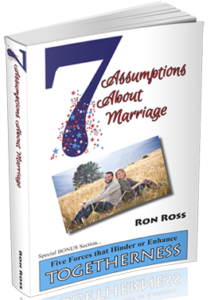 Remind yourself of characteristic number seven several times. Failure is not final! Failure is not final! Failure is not final! It might seem like it right now. You might think all is lost, but it isn’t. You can start over again if you get up and look up and see today as your very best asset. 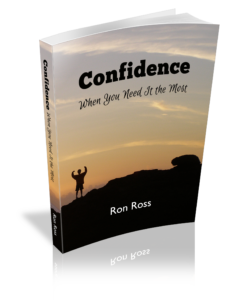 For feedback write to Dr. Ross: RonRoss@RonRossToday.com.